In remarks Thursday at The Heritage Foundation, David Curry, the president and CEO of Open Doors USA, cited the rise of authoritarianism and nationalism in India and China as reasons for the unapologetic persecution of Christians. China moved up on the list from No. 43 to No. 27, and India placed at No. 10, cracking the list’s top 10 for the first time. The Chinese government, Curry explained, has imposed policies on churches that violate their privacy and sanctity. For example, facial recognition technology is required by the state to track church members. Zion church, one of the churches that refused to integrate the technology, was forced to close for not complying with the Chinese government’s standards. Since Chinese President Xi Jinping has wielded state power to restrict Christianity, worship for unregistered churches has also become increasingly risky. 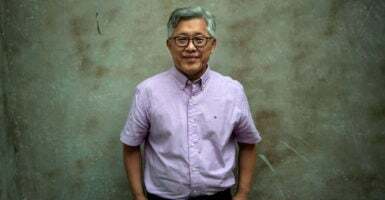 Curry noted the arrest of Pastor Wang Yi along with around 150 Christians because he wouldn’t allow the Communist Party to change his church’s dogma. India has also pushed an agenda to aggressively purge Christianity, Curry remarked. Curry said Hindu nationalism has contributed immensely to religious persecution. Non-Hindus are outcasts in their own country. Many are victims of violence, especially Hindus who have converted into Christianity.